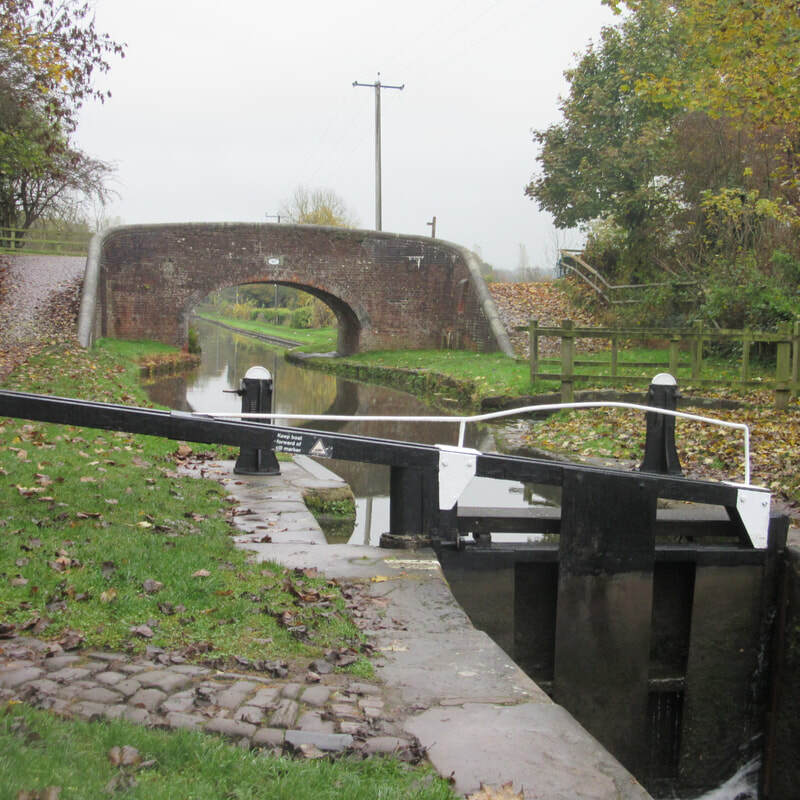 From Chester Cathedral the route is mostly along canal paths and through pastureland, passing the dramatic Beeston Castle before ending at the fine market town of Nantwich. 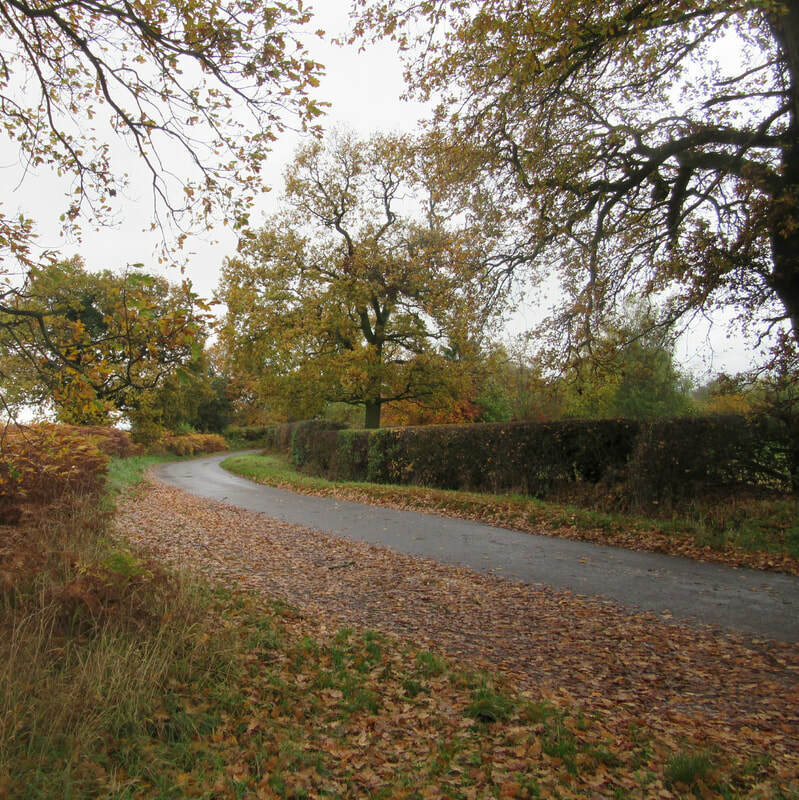 Along this rural section are notable churches such as the intriguing Primitive Methodist Chapel at Englesea Brook and villages with traditional black and white timbered houses and pubs. 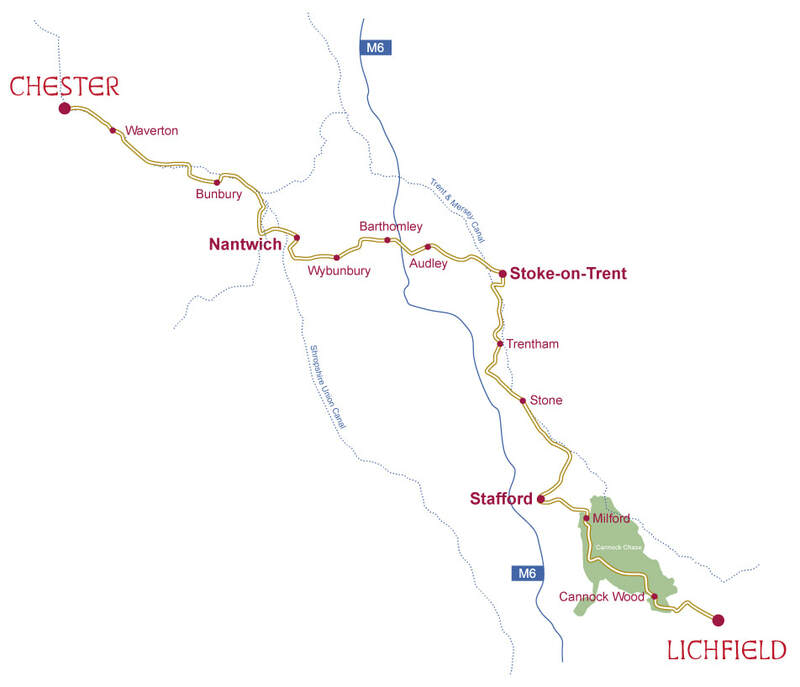 ​Starting out in the city of Stoke-on-Trent with the Staffordshire Hoard treasures at the Potteries Museum, the route continues south past Trentham Gardens and through the charming town of Stone following the Trent Valley. 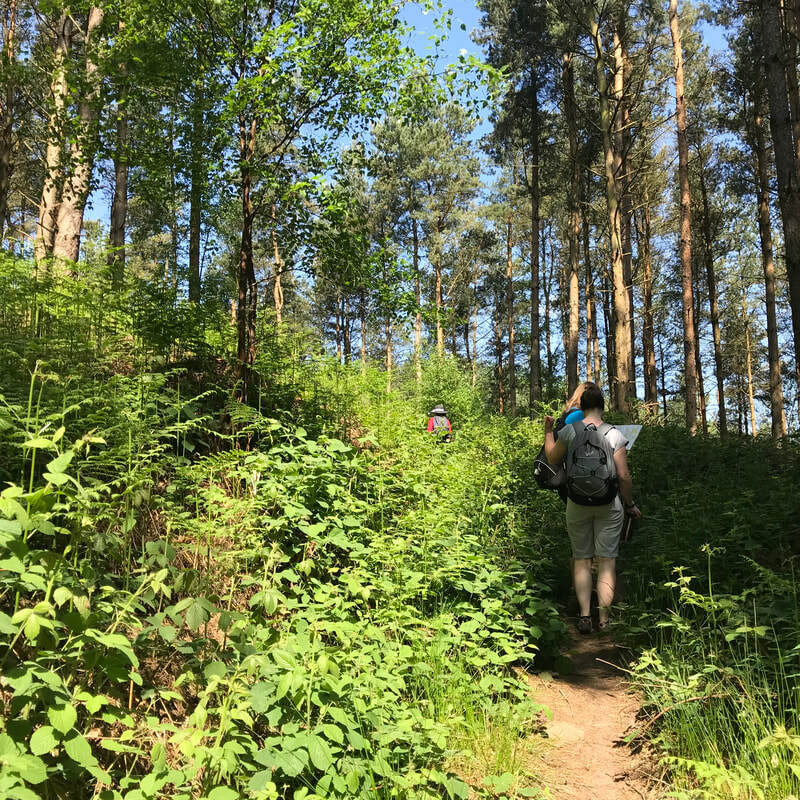 ​On leaving Stafford the route crosses the extensive moorland and woodland of Cannock Chase, an Area of Outstanding Natural Beauty, before the last few miles into Lichfield, past the cathedral and ending at St Chad’s Well. Find out information on following the route and where to find maps and instructions. Find out about the fascinating places you will visit along the way. Find out about ideas for independent places to stay. From Lichfield, follow the Goose of St Werburgh to Chester. From Chester, follow the Cross of St Chad to Lichfield. The Shrine of St Werburgh in Chester Cathedral is the northern beginning or ending of the route. St Chad's Well in the grounds of St Chad's Church, Lichfield, is the southern beginning or ending of the route. (Note: the church is about a quarter of a mile beyond Lichfield Cathedral).